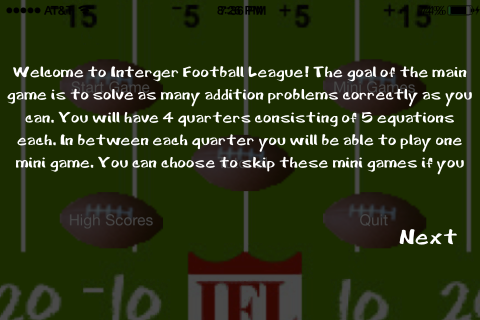 Welcome to the Integer Football League! 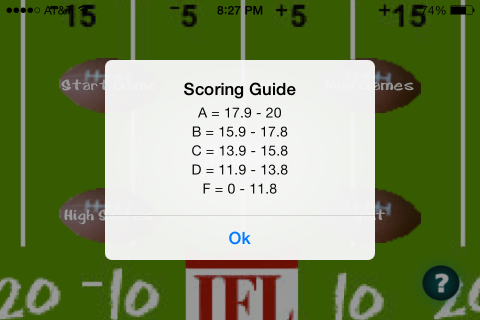 You have been drafted in the first round as the league’s premiere running back. 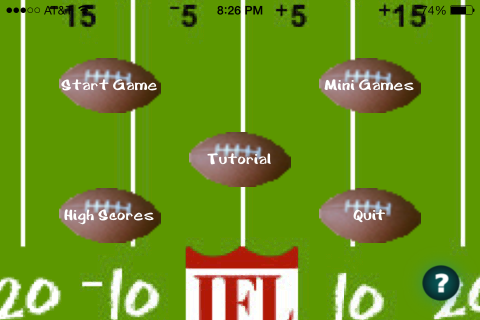 Battle through four quarters of grueling addition equations, play mini games, and compete for the top score. 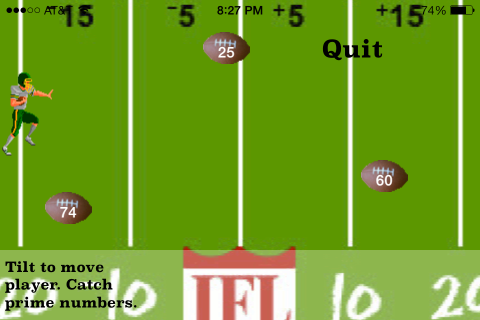 The game focuses teaching addition equations, least common denominator, least common multiple, and prime numbers through an interactive football atmosphere.